Love grows and then falters under the weight of rumors and threats to thwart it. Lacy is tired of losing at love. After her last heartbreak,she struggles to trust again. She doubts if she even deserves love. George returns to his hometown after a nasty divorce. He strives to be an attentive father to his troubled child. With the end of his marriage, he feels he can't trust any woman ever again. However, the death of Lacy's sister ten years earlier creates tension between her and George's ex-wife, Becca, who threatens to takeaway George's visitation rights with his son, Jed, if he continues to date Lacy. When Jed sets fire to George's house, Lacy and George decide to call it quits, convincing one another that being apart will solve all the problems in their life. Except it only complicates and hinders what they both want. There is no hope for them unless George can learn to stand up to Becca and do what is best for Jed and himself. And Lacy must face her past and learn she deserves to go where her heart leads. Misty MountainÂ is the second book in P.C. Zick'sÂ Smoky MountainÂ series of sweet contemporary romances. If you love heartwarming romance with moral and decent characters,then you'll be captivated and enchanted with this series. 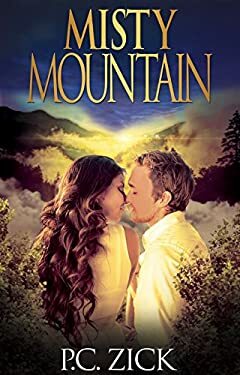 Buy this book and be transported to the Smoky Mountains where you'll fall in love with both the scenery and the characters as they struggle to find love.